Frontier IP Group plc (LON:FIPP), a specialist in commercialising university intellectual property, has today noted yesterday’s announcement from portfolio company Exscientia, a world leader in artificial intelligence drug discovery, that it has achieved its first major milestone in its collaboration with GSK. The Company has delivered a lead molecule targeting chronic obstructive pulmonary disease, a progressive lung disease thought to affect 384 million people globally. 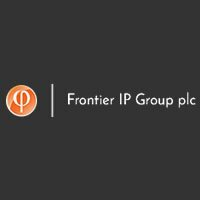 Frontier IP Group holds a 3.32 per cent stake in the Company. Exscientia, a world-leading Artificial Intelligence (AI)-driven drug discovery company – announces today that it has delivered a highly potent in vivo active lead molecule, targeting a novel pathway for the treatment of chronic obstructive pulmonary disease. By delivering the candidate, it has reached the first major milestone in its AI-drug discovery collaboration with GSK. First selective and potent in vivo active lead molecule to be delivered under Exscientia’s AI collaboration with GlaxoSmithKline (GSK), targeting a key pathway for the treatment of chronic obstructive pulmonary disease.